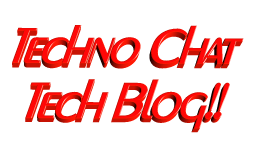 Custom Group Policy(GPO) for Changing Desktop Background Colour | Techno Chat|Tech Blog!! CLASS USER CATEGORY ! !categoryname KEYNAME "Control PanelColors" POLICY ! !policyname EXPLAIN ! !explaintext PART ! !labeltext DROPDOWNLIST REQUIRED VALUENAME "Background" ITEMLIST NAME "Normal" VALUE "0 128 128" NAME "Black" VALUE "0 0 0" NAME "White" VALUE "255 255 255" NAME "Red" VALUE "255 0 0" NAME "Brown" VALUE "128 0 0" NAME "Yellow" VALUE "255 255 0" NAME "Green" VALUE "0 128 0" NAME "Sky" VALUE "0 255 255" NAME "Brown" VALUE "0 0 255" NAME "Blue" VALUE "0 0 255" NAME "Dark Blue" VALUE "0 0 128" NAME "Pink" VALUE "255 0 255" NAME "Grey" VALUE "160 160 164" END ITEMLIST END PART END POLICY END CATEGORY [strings] categoryname="Desktop BG Colour Changer" policyname="Change the background color of the client computer via Group Policy" explaintext="This policy sets the background color of the client computer. Custom Group Policy - https://technochat.in! By Saugata Datta." labeltext="Select Colour"
NAME "Normal" VALUE "0 128 128"
NAME "Black" VALUE "0 0 0"
NAME "White" VALUE "255 255 255"
NAME "Red" VALUE "255 0 0"
NAME "Brown" VALUE "128 0 0"
NAME "Yellow" VALUE "255 255 0"
NAME "Green" VALUE "0 128 0"
NAME "Sky" VALUE "0 255 255"
NAME "Brown" VALUE "0 0 255"
NAME "Blue" VALUE "0 0 255"
NAME "Dark Blue" VALUE "0 0 128"
NAME "Pink" VALUE "255 0 255"
NAME "Grey" VALUE "160 160 164"
policyname="Change the background color of the client computer via Group Policy"
explaintext="This policy sets the background color of the client computer. Custom Group Policy - https://technochat.in! By Saugata Datta." If you want to do same, just download above desktopbgcolor.adm file. Now goto View>Filtering and remove last tick. Now you can modify Policy settings. This entry was posted in Group Policy and tagged adm script, backdround change script, background change via GPO, desktop background. Bookmark the permalink. Thanks for the info, thanks for saving my a$$ once again.. Thanks, Saugata, great resource and did exactly what I needed. Hello I try all of the steps and for some reason the policy is not been apply. I have enable the policy log of the user and log in back and nothing happens. The user is still eble to change the background color. Can any body help me with this..
gpupdate /fore for forcing the policy.. It should be work.. try gpupdate /fore, after applying the policy on client. 100% working on all system..